Sitter: Sir Ian Standish Monteith Hamilton (1853-1947). Biog: Entered Army, 1873; Colonel, 1891; Chief-of-Staff to Lord Kitchener, 1901-2; Quarter-Master General to Forces, 1903-4; G.O.C-in-Chief Southern Command, 1905-9; Adjutant-General to Forces, 1909-10; G.O.C-in-Chief Mediterranean and Inspector General Oversea Forces, 1910-15; General, 1914; commanded Mediterranean Expeditionary Force, 1915. Costume: Uniform with mourning band. Orders, Decorations & Medals: Badge of a Companion of The Order of the Bath (military division)*; The Distinguished Service Order [London Gazette, 30 May 1891]; Queen Victoria Jubilee Medal 1897; Afghanistan War Medal 1878-80, with 2 clasps; Egypt Medal 1882-89, with 2 clasps; India General Service Medal 1854-95, with 1 clasp; India Medal 1895-1902, with 1 clasp; Khedive's Egyptian star 1882-91. Biog: Dictionary of National Biography; Burkes' Peerage; Who's Who; The Army List, 1901; The Times, 13 October 1947, p 8a. Orders, Decorations & Medals: (Order of the Bath) Burke's Peerage; (Distinguished Service Order) Sir O'Moore Creagh, and E.M. Humphris, The Distinguished Service Order 1886-1923, (facsimile edition), London, 1978; (Queen Victoria Jubilee Medal) Howard N. Cole, Coronation and Royal Commemorative Medals 1887-1977, London, 1977; (others) E.C. Joslin, A.R. Litherland & B.T. Simpkin, British Battles & Medals, London, 1988. 1. 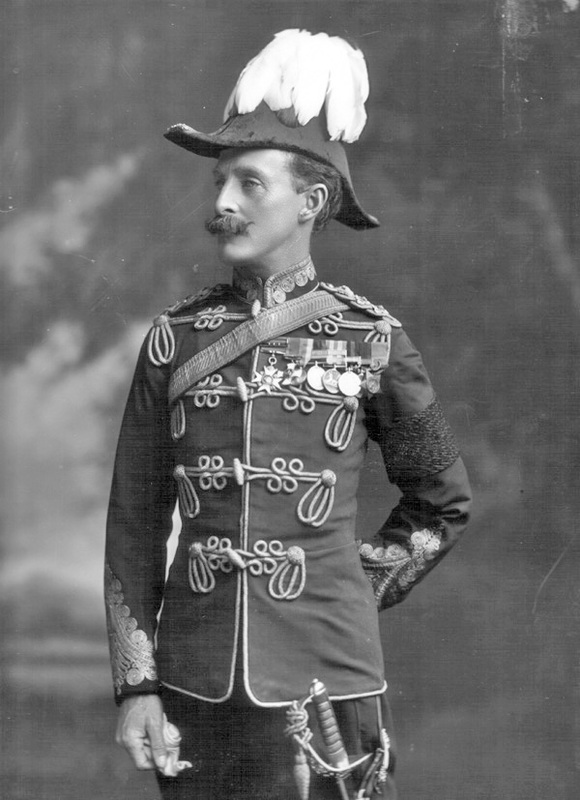 The sitter was promoted to the rank of Knight Commander of The Order of the Bath on 29 November 1900 yet he does not wear this insignia in the photograph.